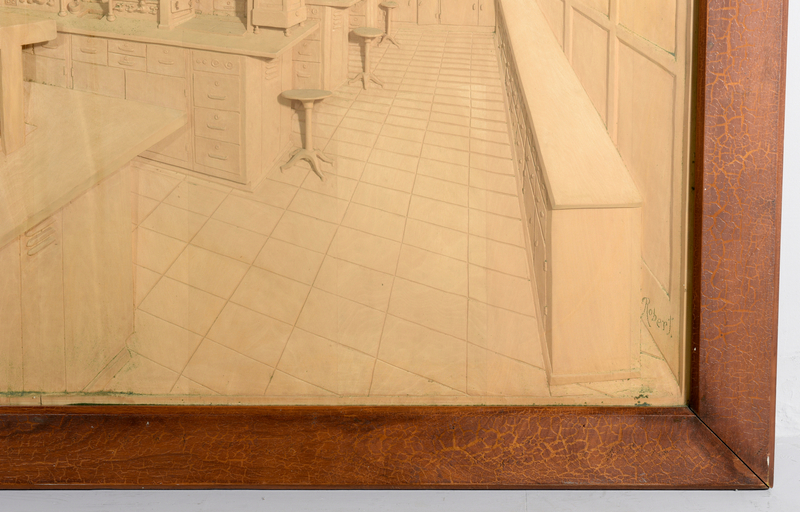 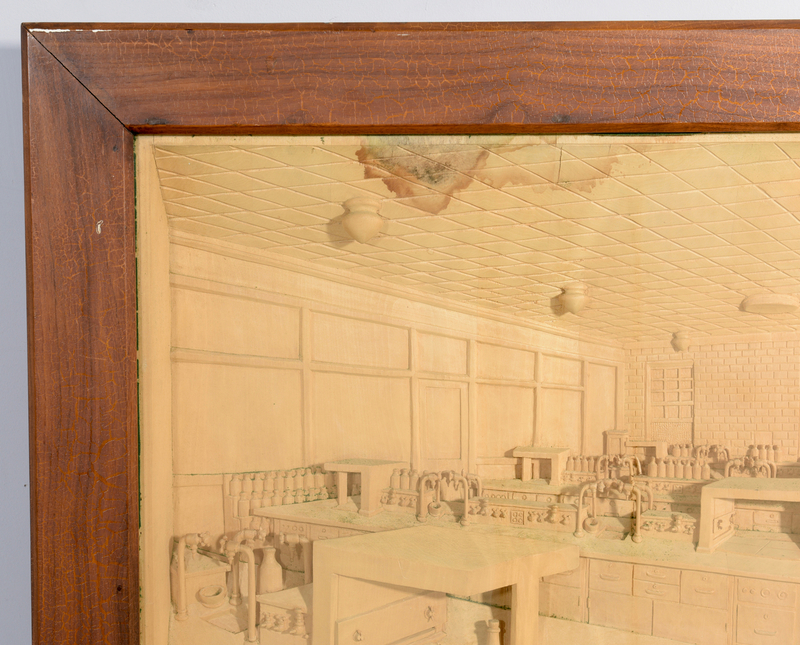 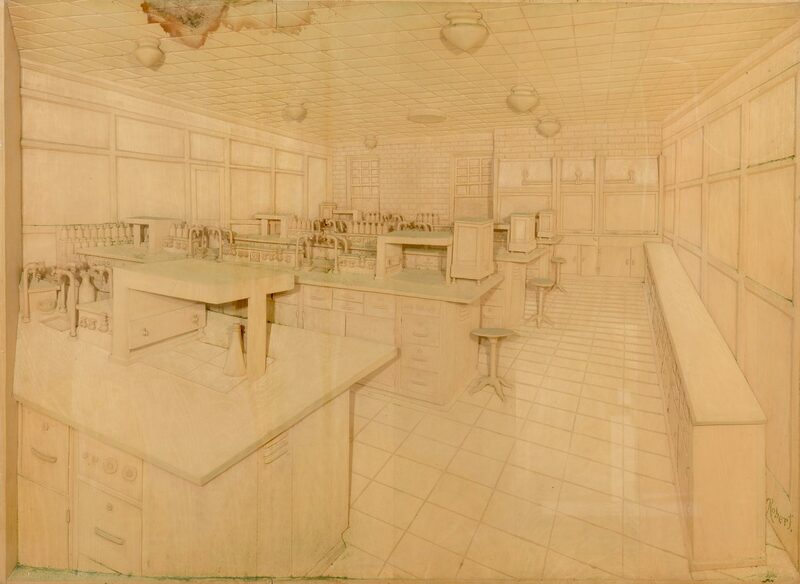 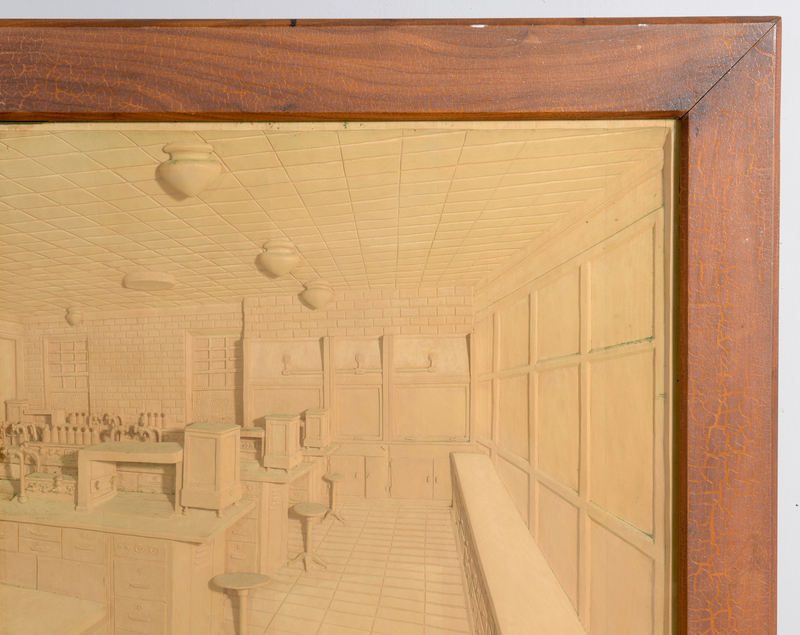 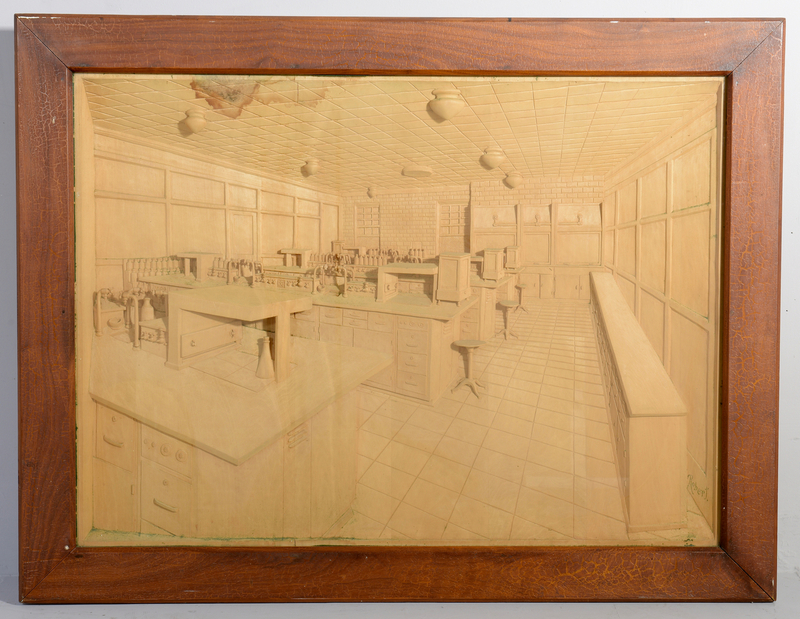 Henry Ford High School Science Lab carved wood diorama, 3 dimensional and to scale, depicting the interior view of Henry Ford's High School science lab. 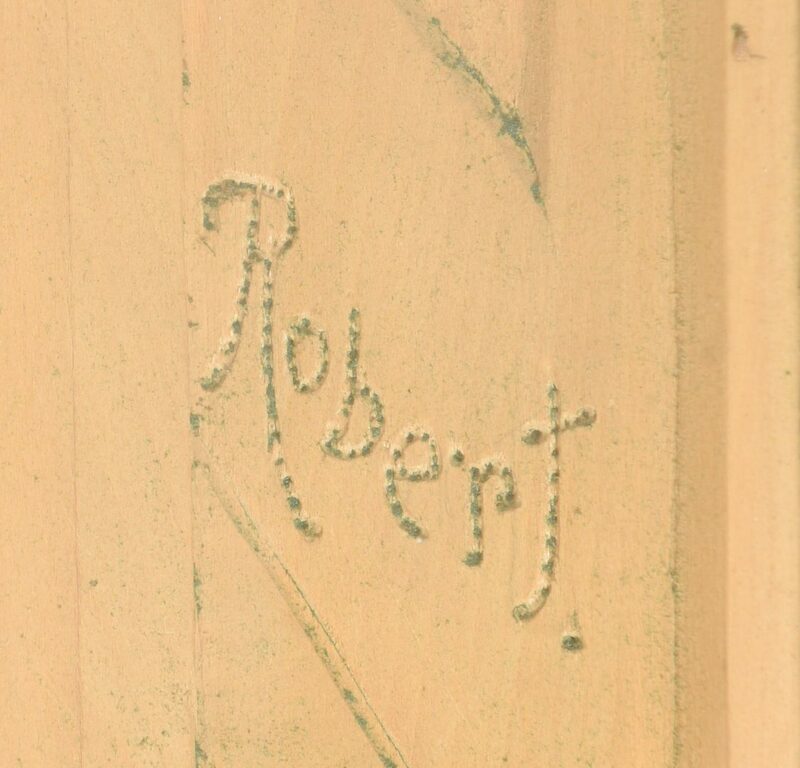 Signed lower right "Robert". 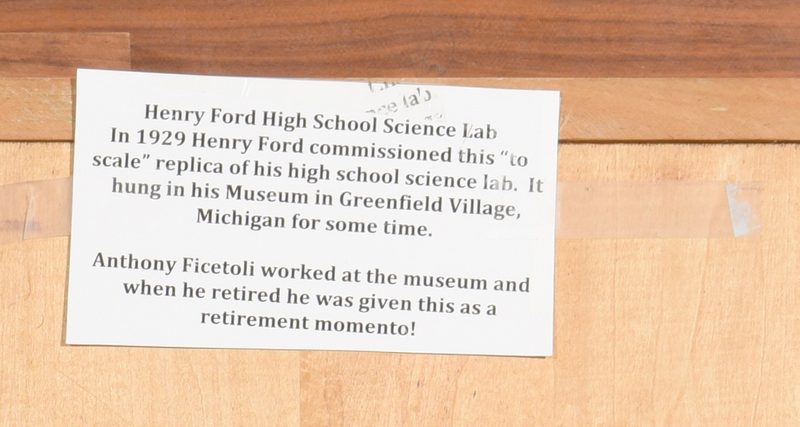 This piece was commissioned by Ford in 1929 and was on display at The Henry Ford Museum and Greenfield Village (The Edison Institute) until it was given to Anthony Ficetoli (1916 – 2010) upon his retirement from The Edison Institute in 1980. Housed in a shadowbox frame. 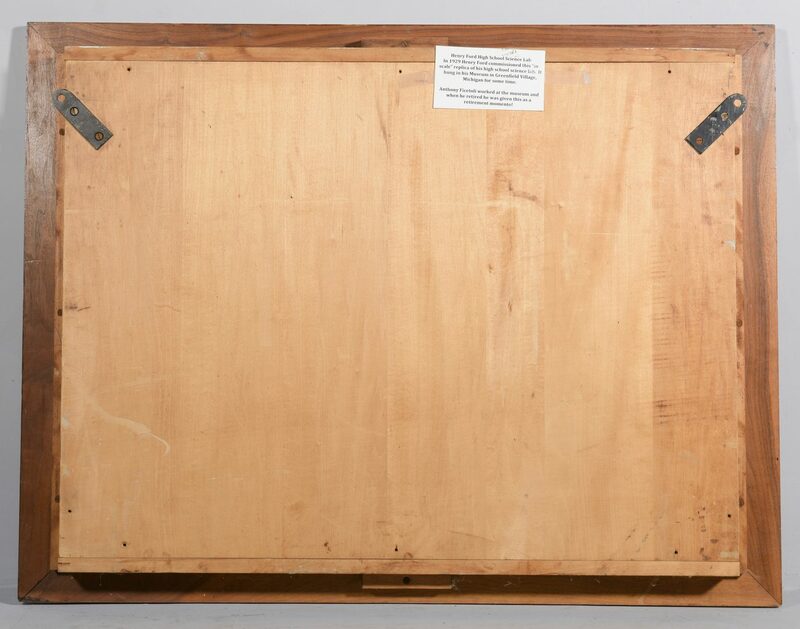 Sight – 27" H x 37" W. Framed – 33 1/2" H x 43 3/4" W. CONDITION: Water stain to upper left corner, with slight cracks to wood. 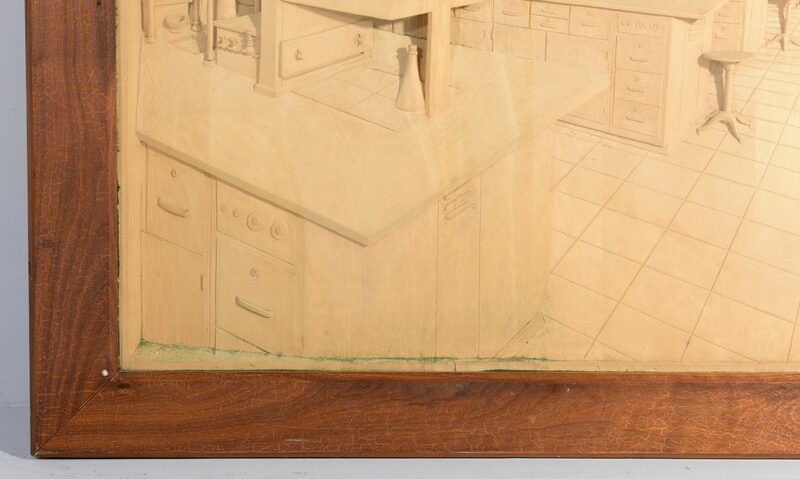 Grime in interior of frame.